Disclosure: Nothing in this blog should be taken as investment advice. Do your own research. This blog is supported by advertising and affiliate links... Links to products and/or services on this blog may include links to affiliate programs that provide commissions to this blog. All of the content in this blog is 100% my own opinion. However, with Microsoft Office 365 it’s not clear how to do this. The “Freeze” option only allows you to “Freeze” column A or Row 1 from the menu bar. However, you can select cell B2 and click “Freeze Panes” this will freeze Row 1 and Column A simultaneously. 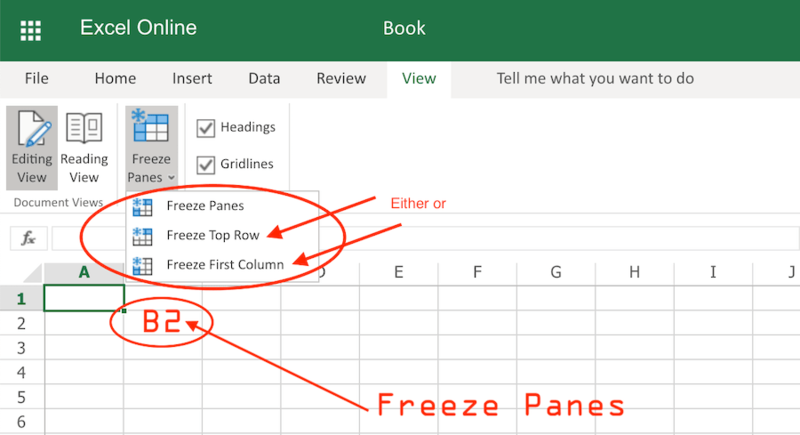 Selecting “Freeze Panes” in Excel freezes the rows above your selected cell and the columns to the left of your selected cell.